Many of you will have read the tragic story in the national newspapers about a woman who died from food poisoning after eating a Christmas meal in a pub. The pub served over one hundred customers and thirty-three of them suffered food poisoning. According to the year-long investigation into the incident, the food poisoning was said to have been caused by Clostridium Perfringens bacteria - the turkey meat was either not cooked adequately or not reheated properly. The chain that owned the pub was fined £1,500,000 (one and a half million pounds) for placing unsafe food on the market and the pub chef and manager, who also falsified documents, were jailed for 12 and 18 months. This story is a tragedy for all concerned - for the deceased and her family, for the other affected diners, for the pub staff and also for the chain, who lost money and reputation. The lessons here are to ensure that all of your staff are adequately trained in Food Hygiene, that they really understand the devastating consequences of poor hygiene, and to ensure that staff are following the correct procedures at all times. We have created an e-learning course that addresses all of these issues. Additionally, passing the final exam entitles the delegate to a certificate confirming that they have reached Level 2 Award in Food Safety in Catering. To find out more, please click here or call us on 01235 810619. Hi Jane, Thank you for the fieldworkers first aid course we did with Peter on 8th Feb. Just wanted to say how fantastic and brilliant the day was - Peter was so knowledgeable and accommodating of all our requests, especially with putting us into real life situations with the help of make up! I hope you don't mind but I have posted a link to your website on our blog with a positive report! Unfortunately, due to a range of reasons including the gender and age profile of the average golf club member, golf courses are among the most common places for heart attacks to occur. To compound this statistic further, due to the remote location of many courses, cardiac arrests on golf courses are more likely to be fatal. After former Ryder Cup captain Bernard Gallacher's life was saved by staff correctly using a defibrillator, many more golf clubs have invested in these life-saving machines and have trained their staff in their application. Sadly throughout the UK, the worlds of commerce, business and public places, are still largely defibrillator-free zones, despite various statistics suggesting that survival rates rise from only about 5% to an average of 38% with the correct use of defibrillators and CPR. 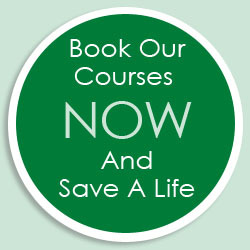 We supply defibrillators with full training - please click here to find out more. We can also tailor this course and present it "in-house" for your organisation so, if this would suit you better, please email us at info@ocfa.co.uk or call us on 01235 810619. Alcohol depresses the activity of the central nervous system and the brain. Excessive intake can severely impair all physical and mental functions and the person may sink into deep unconsciousness. Cover the casualty with a blanket to protect him from the cold. Assess the casualty for any injuries especially head injuries or other medical conditions. Monitor and record vital signs - response, pulse and breathing - until casualty recovers or is placed in the care of responsible person. Congratulations to Chris Probert Head Porter of Exeter College, who correctly answered that "Spectre" is the name of the latest James Bond movie. Chris wins a voucher for a meal for two at The Manor Country House Hotel in Weston on the Green. For this month, we are offering a £50 voucher for an amazing fine dining experience for two at the award-winning Oxford Kitchen restaurant in Summertown, North Oxford. "Which well-known TV comedy writer has re-written The Ladykillers for the stage?" Email your answer and contact details to Jane at: info@ocfa.co.uk and we'll draw one lucky winner from the correct answers on Friday 20th March 2015.